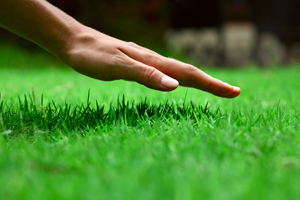 If you’re looking for good lawn care in Atlanta, GA, you know there are plenty of lawn care companies to choose from. Unfortunately, not all lawn care companies are created equal. To find a good company, it’s important to read online reviews and ask trusted neighbors and friends. But a major determining factor should be the types of services the company offers. In addition to identifying common grass weeds, such as crabgrass, dandelions, clover, and more, a good company can effectively treat these problems without damaging your turf. This ensures that all the water, sunlight, and nutrients are utilized by your grass rather than weeds. Aeration is often done in the fall, but can be done in the spring depending on the type of turf. This service allows water to penetrate the ground more deeply so that the root system becomes stronger. Your turf will be less susceptible to drought, insects, and disease with regular aeration. Diseases that cause brown patches and other problems can be prevented with regular care and preventive measures, such as fungicide. Professionals can identify these conditions early on to provide timely treatment. Overseeding the lawn in the fall increases the thickness of the turf in the spring. Different turf types should be seeded at different times of the year, so be sure to contact the professionals to ensure proper seeding practices that will result in a strong root system and beautiful lawn.